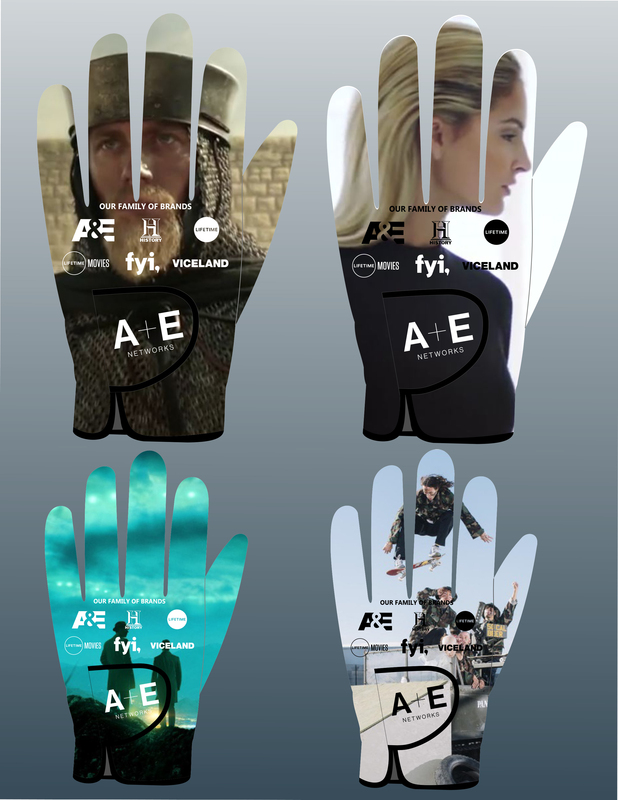 "Our gloves are your canvas…time to create art! Let your creativity flow without limitations with our new sublimated golf gloves"
Our GLS-L style uses a breathable Lycra material on the back with the finest sheepskin cabretta leather for the palm. Lycra allows for brilliant logo color reproduction while the cabretta leather palm provides a secure grip of the golf club. Because we decorate via sublimation, we can reproduce your logo or design exactly as it is in full color thus enhancing their brand's overall visibility. Why settle for a simple logo on a removable ball marker when you can have an entire glove custom made for you. *These are performance value golf gloves at unbeatable prices. • Available Colors: Full Color Sublimated back side with Black or White leather palm.